Looking for Marietta movers? You have come to the right place! Sunrise Moving & Storage are a legitimate licensed Georgia moving company (License #: HG201768). These days, you definitely want to do your homework and ensure that you are hiring a legitimate mover. There are too many moving scams and rogue movers out there. We are pleased to share our trusted credentials with you to put your mind at ease. Check out our reviews on some of your favorite review sites. We hope we have made it easy for you to choose us. 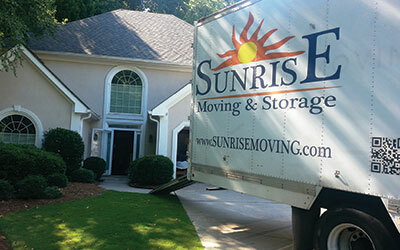 If you want experienced and legitimate Marietta movers, call Sunrise Moving & Storage today. We can deliver your residential or commercial local or long distance move and provide a stress-free experience. We can also provide professional packing and short or long-term storage. Fill out our free moving quote to get started right away with Sunrise!